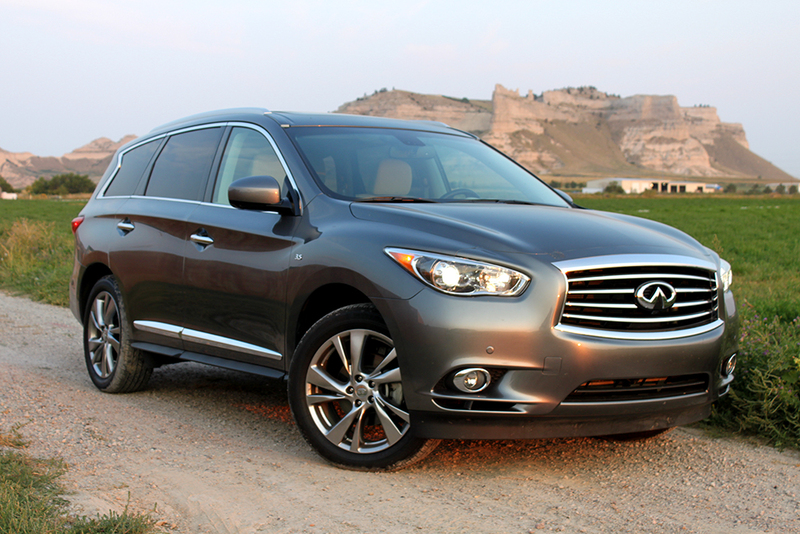 The 2015 Infiniti QX 60 is a seven-passenger crossover SUV with round styling cues and a luxurious interior. It offers a pretty bland driving experience with its current powertrain setup. However, engage Sport Mode and this SUV transforms so dramatically it could just be the most overlooked Lexus RX competitor on the market. No kidding. It is that good. For years now the Lexus RX 350 has been the king of mid-size, luxury SUV segment with its comfortable interior and fun-to-drive characteristics. The sales are dominating with the RX selling at around 100k units per year, while the QX60 sells around 5k. 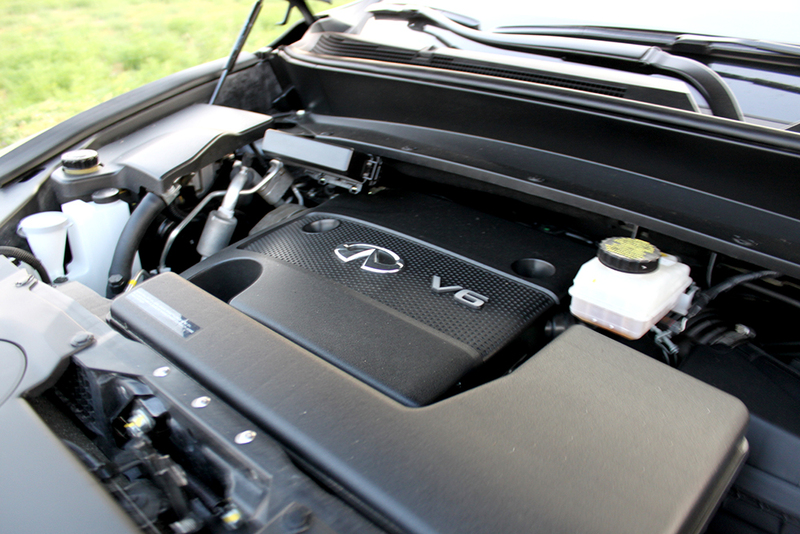 Yet, the QX60 can be quite good albeit when engaged in the afore-mentioned sport mode. 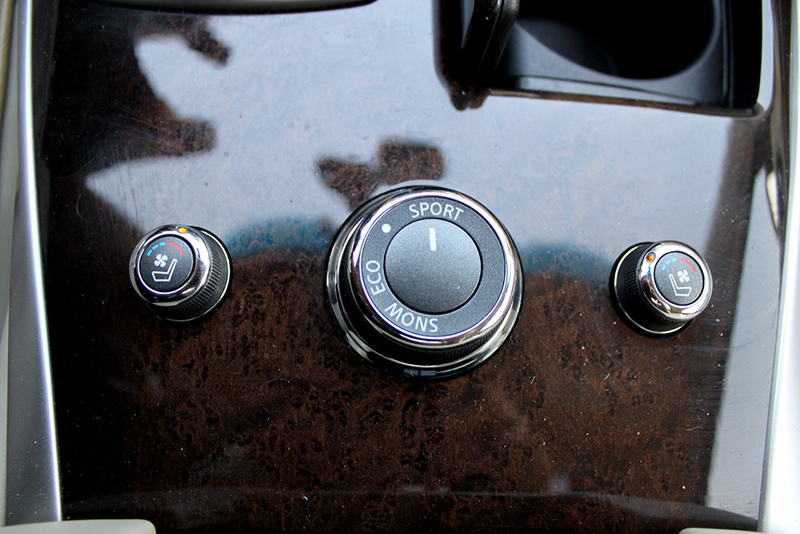 What is sport mode anyway? Many cars these days come with different driving modes meant to offer different driving experiences based on their settings. While many of these settings can be benign (eco and normal for example), the QX60 really changes when engaging Sport mode. It almost feels like you gave the engine a shot of expresso. This change is initiated by switching a dial which alters the transmission shifting points and engine to be more responsive. In other words, the normally sluggish powertrain is awakened. Normally, reviews don’t talk so extensively about driving modes. Typically, we test each mode out and the changes are pretty minor. 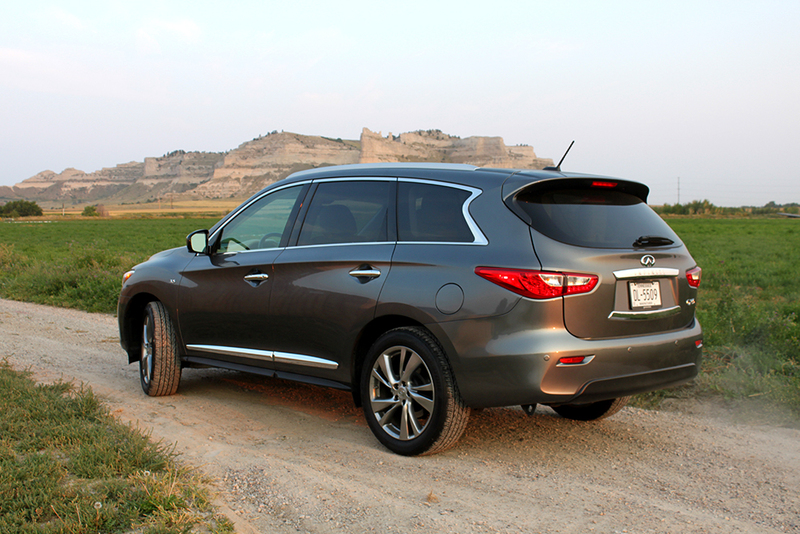 However, with the QX60, I found the change to be so dramatic, I never switched it back to normal. The downside to leaving it in Sport Mode is the decrease in fuel economy. EPA Estimated fuel economy is based on normal driving mode and we can safely assume the QX60 fuel economy of 19/26/22 will not be returned in Sport Mode. Yet, when it is this much more fun to drive, does a few MPGs really matter? Besides the driving experience, the rest of the vehicle is surprisingly good. While I am not a fan of the rather roundish exterior styling, it does grow on you after sometime and I found I liked this vehicle more from the rear than I normally do with other vehicles. On the inside, I was really impressed with the materials chosen and the instrument panel layout. In fact, I thought this was better than the Lexus RX 350 and, behind the wheel, my feelings on this vehicle shifted quickly. It is simply a lot better than on first impression. 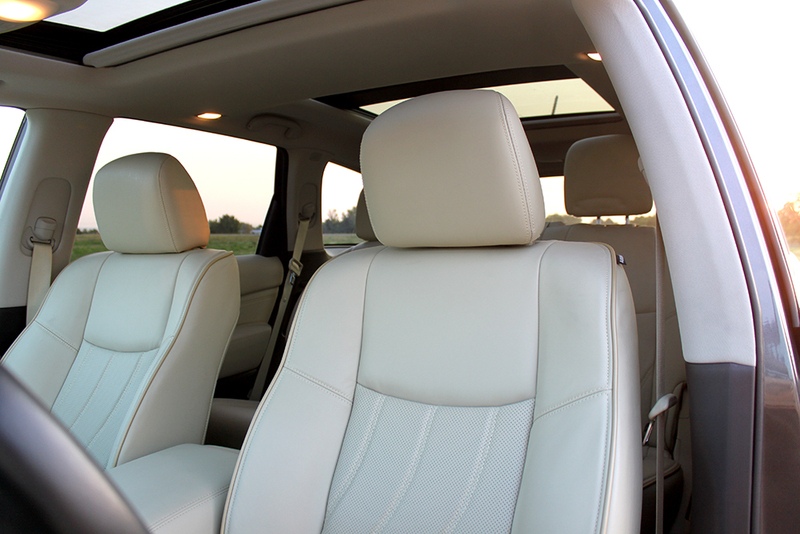 Plus, the Infiniti offers a third-row seat while the Lexus doesn’t. This third-row is fairly roomy for kids. 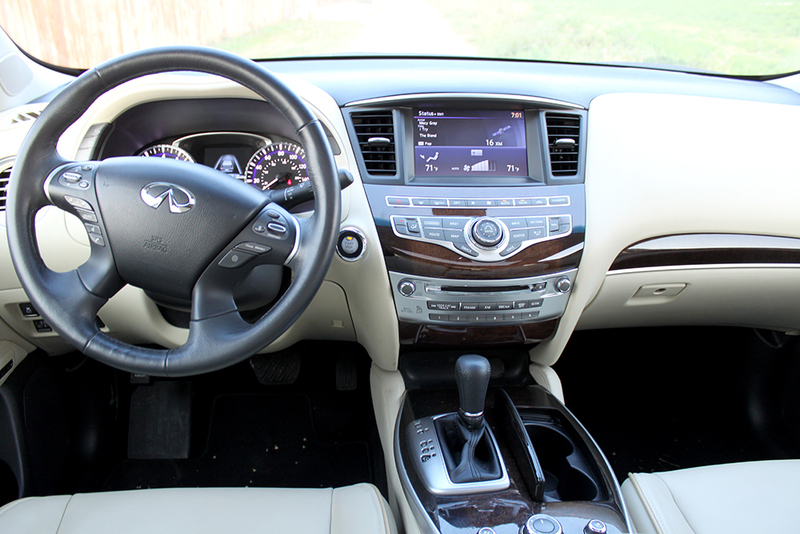 One other note, Infiniti along with all Nissan products uses buttons on the steering wheel that I find harsh to use. Many other manufactures, specifically luxury makers, have improved these buttons to be softer to the touch and easier to use. Infiniti needs to adopt this strategy. 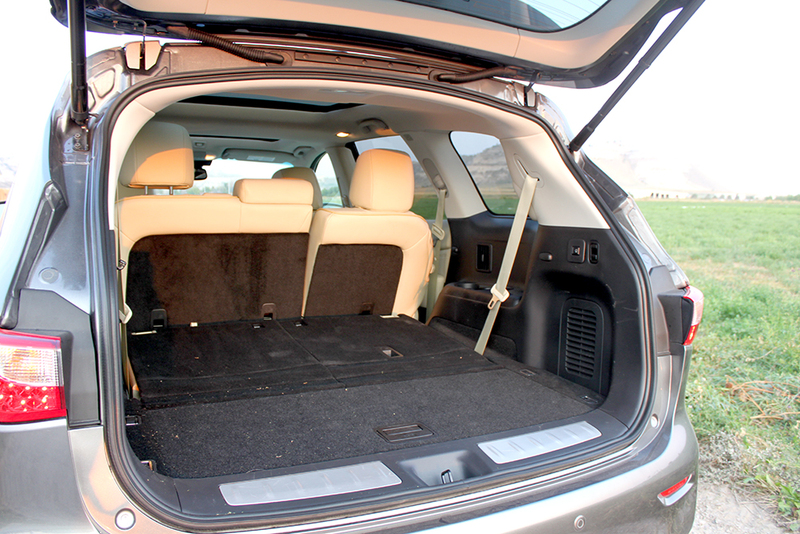 In the end, the QX60 reigns near the bottom of the mid-size, luxury SUV segment and this is unfortunate. It can be quite good, that is, as long as you flip the dial to Sport Mode.